All out for May Day 2015: Here's how you can help! This Friday is May 1st, International Workers' Day! Join hundreds of community members in the streets of Montpelier for a massive march and rally demanding justice and dignity for all people of Vermont. Meet at 11:30am at Montpelier City Hall! 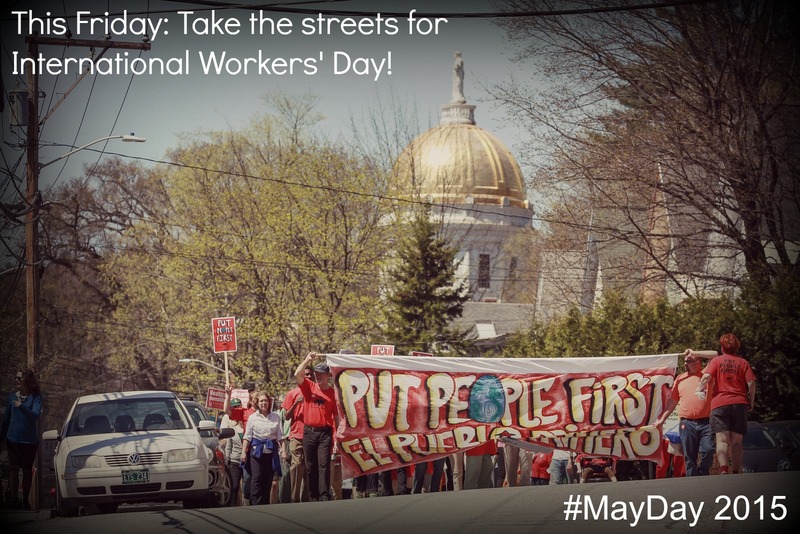 Read more about All out for May Day 2015: Here's how you can help! This OpEd was written by VWC member Bekah Mandell, who lives in Burlington. It's run so far in the Barre-Montpelier Times Argus. $587,206. That’s what Blue Cross Blue Shield CEO Don George made last year -- before his bonus. That makes Don George one of the highest paid executives in the state of Vermont and puts him at the top of state’s 1%. NOTE: This OpEd by VWC director James Haslam as so far run in the Rutland Herald, Barre-Montpelier Times Argus, and VTDigger. This morning on Tax Day, dozens of people marched on Blue Cross Blue Shield of Vermont in Berlin, delivering a $15.7 million invoice for taxes they've avoided by masquerading as a non-profit, while profiting enormously off of our health. BCBS Vice President Kevin Goddard -- who made somewhere between $288,000 to $370,000 last year, putting him in Vermont's top 1% of wage earners -- accepted the invoice, while CEO Don George made an appearance outside. Read more about Video: Tax Day Action at Blue Cross Blue Shield VT! Today, the Vermont Workers’ Center issued the following statement in response to recent moves by the Shumlin administration and some legislators to curtail the fundamental rights of working people in Vermont. Equitable healthcare financing bill introduced in the legislature! 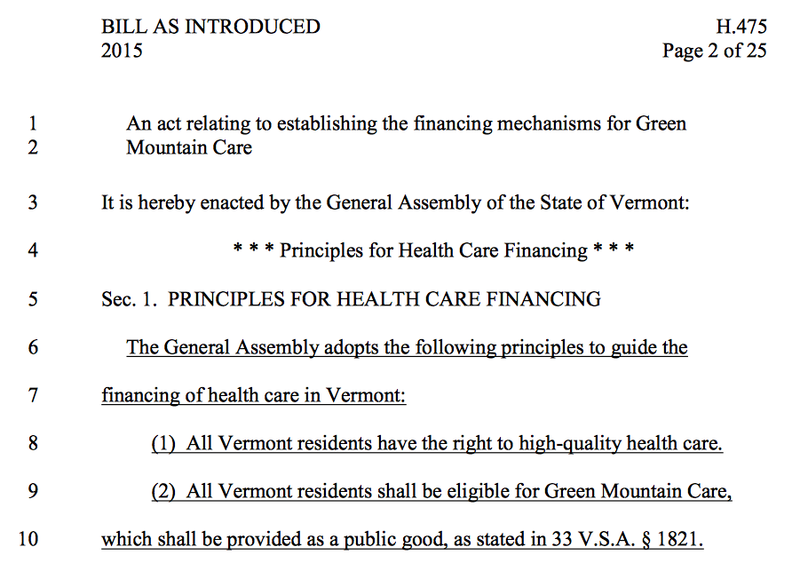 This week, our financing plan was introduced as bill H.475 into the Vermont House of Representatives. Read the bill here, and click here for a 3 minute video explaining the financing plan. Read more about Equitable healthcare financing bill introduced in the legislature!